Become a featured business of the month sponsor and advertise here! 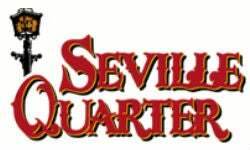 Interested in learning more contact Anthony Mendoza at 850-432-0800 ext 231 or [email protected]. An artisanal dining experience with a twist of southern taste and exceptional hospitality! This isn’t your typical café, though. Sure, it’s located in a beautiful brick building with unique architecture inside and out, is near a growing community with simple, but elegant and inviting décor and ambiance that serves tea, coffee, wine, bottled beer, desserts and southern flavors inspired by an outdoor smoker. McGuire’s Irish Pub first opened in 1977 as a small neighborhood pub in a shopping center. In 1982 McGuire’s moves to its current location; Pensacola’s original 1927 Old Firehouse. Inside the pub you’ll find a turn-of-the-century, New York Irish Saloon themed 615-seat restaurant. We are celebrated for our atmosphere boasting more than One Million signed dollar bills hanging from the ceilings and walls of the Pub. 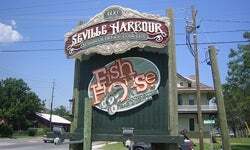 In 1996, McGuire’s Irish Pub of Destin opened on beautiful Destin Harbor with the same great food and live Irish entertainment. Jazz up your dinner tonight when you bring your friends and family to The Melting Pot in Pensacola, Florida. From savory artisan cheeses seasoned to perfection and freshly made salads with signature dressings, we start your meal off right. Once you’ve enjoyed your starters, you can choose from a customizable entrée selection that includes succulent shrimp, cold-water lobster, and filet mignon. The perfect ending to any meal, no matter how many courses, is the dessert! At The Melting Pot, we offer nine different choices of decadent chocolates. In addition to our delicious fondue and salads, we offer several craft beers, award-winning wines, and handmade cocktails. Our unique dining experience is great for any day of the week. Join us for a romantic night out, celebrating something special or just because! 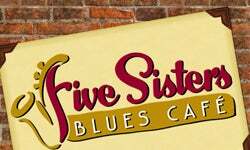 The Five Sisters Blues Cafe is a restaurant built on some of Pensacola’s deepest history, right in the heart of downtown. The reconstruction of the old Gussies Record Shop heralds the reawakening of the old Belmont-DeVilliers neighborhood. Featuring good ol’ southern cuisine with kicks of Creole and Caribbean flair, the Five Sisters boasts a fantastic menu, daily blackboard and house specialties, and regular live blues music. 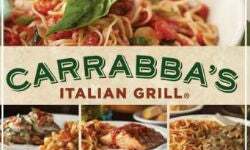 Carrabba's in Pensacola offers flavorful, handmade Italian dishes prepared to order in a lively exhibition kitchen. Guests enjoy Carrabba family recipes handed down for generations including crispy calamari, homemade lasagne and a variety of fresh fish, seafood and meats cooked over our wood-fired grill. 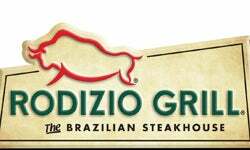 Rodizio Grill is a beloved and bustling restaurant, well known for its unique cuisine and excellent customer service where the guest is in control! Traditional Brazilian churrascarias found throughout Brazil consist of Brazilian Gauchos that bring a variety of skewered, rotisserie-grilled meats right to your table.